Indian cinema has given us many popular songs based on classical ragas. The creative genius of music directors has afforded us several benchmark compositions with tricky components of raga, laya, and bhava. These can be broadly grouped into: Creating a new raga Rasika Raja Taguvaramu from the movie Jayabheri (1959) sung by Ghantasala is based on a new raga, Pratapa Rajashekhara (a combination of Kaanada and Chakravaaka in different sthayis) created by Pendyala Nageswara Rao. A seamless combination of two or three ragas Meerajaalagalada Nayanati from the movie Krishna Tulabharam (1966) sung by P Susheela composed by Thotakura Venkata Raju. Using only the ascent or descent of a raga Kalaivaaniye from the movie Sindhubhairavi (1985) sung by Yesudas composed by Ilaiyaraja uses phrases only taken from the arohana of the raga Kalyani. Using only a few swaras for the composition Ragam Rasamaya Vedamai, a song comprising only three notes, composed by Ilaiyaraja. Creating a template for a raga through a song Sringara Sheela from movie Bhakta Kanakadasa (1960) sung by S Janaki and P B Srinivas and composed by M Venkataraju serves as a standard for Raga Pahaadi. All these qualities throw a challenge to the capacity, range, and sustenance of vocal expression. That said, the musical thought of the composer is given voice only by a capable playback singer. Legends like Lata Mangeshkar, Mohammed Rafi, P Leela, P Susheela, S Janaki, Ghantasala, P B Srinivas have etched in the hearts of millions of musical fans a joy of Indian classical music through their songs. The aim of a music director is to provide a compact, unadulterated (with respect to both background and foreground score) musical experience with distilled melodic components in a short span of five to ten minutes. It is a mammoth task to condense a raga, let alone improvise upon the essence of a raga in such a short time period. Only an extraordinary mind knows where to begin and when to end. This optimal concoction must pass through the test of orchestration, vocal tracks, and perhaps the scene and mood befitting the song. Taking into account all of these, the playback singer needs to push the song beyond its prototype state to reach the fastidious heart of a true connoisseur. This essay is an examination of one such film song. It proved to be both the best and toughest song in S Janaki’s career. India’s most versatile playback singer, S Janaki is blessed with a voice that causes transcendental joy to the listener. She has the capacity to retain her sonorous voice and create an effect of grandeur even when she reaches the high octaves, just as she does while being in the comfort range. She can adapt her voice to suit a child, an aged person, and even a man. A common feature of many playback singers of the yesteryear is that their training was grounded in Indian classical music. As a result, they seamlessly adapt any style across musical genres. The purpose of this essay is to highlight the details, phrases, emotions, and complexity of the song ‘Shiva Shiva Ennada Naalige Yeke’ from the Kannada film Hemavathi (1977). This wonderful piece was composed by one of the veteran violin maestros of Carnatic music, L Vaidyanathan (1942–2007). 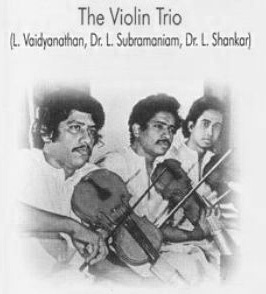 ‘Vaithy,’ as he was affectionately addressed, carried forward a lineage of musicians and is also the elder brother and mentor of acclaimed violinists Dr. L Subramaniam and Dr. L Shankar (now Shenkar). The three of them performed worldwide as the famous ‘Violin Trio.’ The complex and rapid notes in the string section and the flow of the violin are evident in this song. To add to it, the situation in the movie for this song is that of a concert rendition of a classical musician (as opposed to a romantic duet or an invocation of the divine). This gave ample opportunity to make the song heavy with classical beauty and grandeur. The song is based on two popular Carnatic ragas: Abhogi and Todi Abhogi is an audava raga that is a janya of Kharaharapriya, one of the foremost ragas predominantly used for Sringara (romance). It is also the parent of several janya ragas of unique emotions. Abhogi can serve to evoke the emotions of Sringara, Bhakti (devotion), Virakti (lack of passion), and Shakti (energy, power). This raga has the swaras Shadja (S), Chaturshruti Rishabha (R2), Sadharana Gandhara (G2), Shuddha Madhyama (M1), and Chaturshruti Daivata (D2). This raga works well across the three octaves. It suits medium and fast tempi. Todi is a powerful masculine raga that is characterized by its robustness. Its defining features are the Kampita Gamakas (vibrato-like embellishment) and emphasized expression. Todi is so dependent on gamakas that without specific musical ornamentation, it no longer remains Todi and gives rise to a raga resembling Sindhubhairavi. Todi is a janaka raga (parent scale) with the swaras Shadja (S), Shudda Rishabha (R1), Sadharana Gandhara (G2), Shuddha Madhyama (M1), Panchama (P), Shuddha Daivata (D1) and Kaishiki Nishada (N2). The traversal of Todi is itself a great learning to all music students. The moves between neighbouring notes are engulfed with the influence of the previous. This raga evokes the feelings of Karuna (pathos) and Bhakti. In this manner, Todi and Abhogi together form a contrasting picture of Janaka and Janya ragas, Kampita and Non-Kampita gamakas, and Druti and Deepti Rasadharmas. 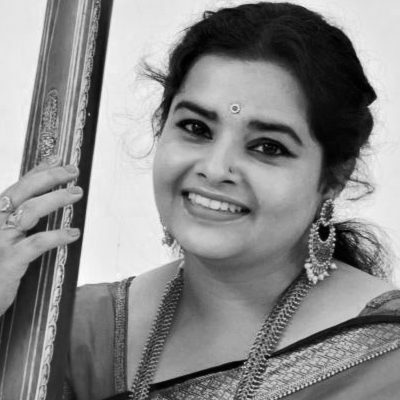 In this song, the composer has not combined two ragas to form a new raga, as in the case of Mohana Kalyani where Mohana becomes the arohana and Kalyani becomes avarohana. The composer has used Abhogi as a whole followed by Todi as a whole and this is repeated as a sequence throughout the song. This gives the music director more liberty to use the raga as a whole without worrying about its movement. Further, the alternating effect gives a contrasting picture of the two as against a forceful obtrusive combination. The song has three sections: alapana, the composition, and swaraprastaara. While the song begins with the alapana, there are short segments in the composition itself where the free-style melodic improvisation has been added. In the beginning, the alapana is of an alternating nature. There is another place where the alapana has been done in Abhogi alone – ‘Premadi Koogalu Shankara.’ The word ‘Shankara’ is prolonged and embellished with swift Aroha and Avaroha sancharas. The course of sangatis gradually continues to reach higher notes, finally touching the tara Shadja. 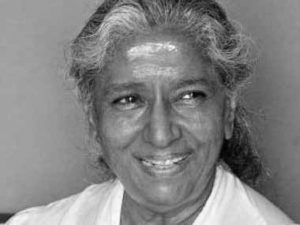 One must appreciate the felicity of Janaki’s voice; she has achieved this effortlessly! We can clearly notice the mighty and bold canvas of Abhogi at this point: ‘R G M D Ṡ D M G R S’ ‘R G M D Ṡ Ṙ Ġ Ṙ Ṡ D M G R S’ ‘R G M D Ṡ Ṙ Ġ Ṁ Ġ Ṙ Ṡ D M G R S’ ‘S R G M D Ṡ Ṙ Ġ Ṁ D Ṡ D Ṁ Ġ Ṙ Ṡ D M G R S’ https://www.youtube.com/embed/LWzssBVB2V8?start=126&end=158&version=3 Also while singing ‘Shankara’ and creating successive sangatis, the composer emphasizes the beautiful usage of Abhogi, Sadharana Gandhara (G2). Though both the ragas have the same Gandhara, one can keenly observe the striking difference between the G2 of Abhogi and G2 of Todi. The Abhogi Gandhara oscillates from Madhyama to Gandhara whereas the Todi Gandhara oscillates from Rishabha to Gandhara. The composition, like a typical kriti, consists of a Pallavi, Anupallavi, and Charana. The song is deity-specific and invokes Shiva. The lyric in the pallavi and anupallavi sections are interrogative in nature. To invoke the question ‘Yeke’ (‘Why’) through music, the composer has used phrases like ‘R G M,,,?’ and ‘D Ġ Ṙ,,,?’ in Abhogi; in Todi, he uses phrases like ‘Ṙ Ṡ N D,,,?,’ ‘D N D,,,?,’ and ‘Ṡ Ṙ Ġ R,,,?’ One must observe the Kampana given to D2 in Abhogi. In both the ragas, Tara Rishabha has been used to pose a question. The lyric in the charana consists of simple non-interrogative sentences that are declarations. For example, ‘Ishwaranendare Shashwata Sukhavu,’ ‘Shankaranendare Sontasha Dinavu.’ The sambodhane (addressing someone or something) of Shiva as ‘Shankara’ (‘Premadi Koogalu Shankara’) has given an aesthetic appeal both lyrically and musically. The word ‘Shankara’ is akaranta (ending in ‘a’) through every letter. It can be endlessly prolonged to create varied musical embellishments. As a result, the composer has taken the help of this word to create a grand picture of Abhogi. This song truly occupies the frontline space of Indian film music for being complicated yet melodious; having musical gymnastics yet flowing smoothly; having clubbed two ragas while preserving their identities; posing a challenge yet having charm. It requires a great voice with felicity to handle gamakas as well as speed. It is composed in a unique manner with so many wonderful aspects of music that any student of the art, upon listening to it, will feel energized, inspired, and filled with joy. Thanks to Shatavadhani Dr. R Ganesh for his review. Edited by Hari Ravikumar.